Cant believe I totally forgot to add on the blog about the Radio show I did! It was so much fun, and the response after was enormous, tons of emails and people asking questions about testing for Celiac! I remembered today because yesterday I bumped in to someone on twitter (is that possible? lol, maybe its twumped in to? ), who had heard the show back in May and remembered me from it 🙂 He says he had never heard about Celiac disease before but that he has now taken an interest and reads what he can about it. Missed the show? You can listen to it again on the Dubai Eye Website. 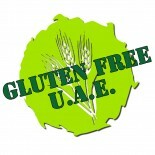 This entry was posted on 08/08/2012 by glutenfreeuae in Press! and tagged dubai, glutenfree, health, radio.